Go to any bookstore or library, and you will see a plethora of resources on how to conduct, survive, execute, and recover from a divorce. However, there aren’t as many good resources on the topic of kids and divorce. Video Nurse takes a look at an article on the Mayo Clinic on the topic, to help those of you who are divorcing and have children. I noticed there are some great books for younger children to help parents broach the topic of divorce, addressing a younger child’s propensity to believe the breakup has to do with him or her, and talking about the fears young children may have about what will happen to their parents as well as where they will live. There aren’t so many books just for older children or teens, and certainly even less for young adults. Many of the adult children of divorce are still figuring out how our parents’ divorces affected us, and how the positive and negative outcomes play out in our own relationships. Parents themselves may be trying to figure out how the law affects their children, yet are also emotionally conflicted about the decisions their older children will make in regards to who they will live with. Video Nurse invites you to share your stories. You can send offline comments to VideoNurse@me.com, or leave a public response on the website, or on Youtube on my channel Yourlilchinagirl. If you wish your story to be shared, please write the words, “I give my permission to share my story.” If you are under 18, you will need to get permission from your parents to share a story where names of people are identified. If you ask for resources on weight loss, you’re likely to overwhelmed. There are literally thousands of books, CD’s, DVD’s, podcasts, seminars, weight loss clinics, fitness centers, trainers, nutritionists, coaches, diets, and exercises you could spend hours upon hours learning about, and it’s overwhelming. QR Code, Google Voice, and Business Phone Line, woot! I purchased the iPhone4 in August 2010 in order to use Facetime for iPhone and conduct mobile counseling and consult sessions to help my clients stay in touch, keep regular sessions, or find a therapist even if they live in a remote area of the country. Next came my Google Voice number. You can call 425-200-5271, and if I can’t answer, calls to my mobile or my Google Voice account get transferred into a text message, making it easier for me to answer urgent calls on break without having to listen through all my messages. Finally, I’ll be adding a second line. The current mobile number will become the dedicated business line, and a new number will be for personal use only. For some time, I’ve used one line for EVERYTHING, much to the chagrin of family and close friends. That, like everything else with technology, must change. In any case, you’ll have more ways to get a hold of me. And that’s good news for you! BTW, next time you stop by my office, you’ll see a QR code in the window. 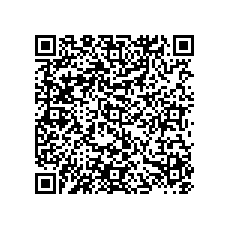 Use any standard QR code reader on your Android or iPhone, and you’ll pull up my mobile number and URL. No more wondering if you have my number on you if you’re outside my office. Just add it to your contact list. Editor’s note: Spam bots that have chosen to send over 300 spams to this particular post, so I’ve disabled comments on this blogpost only.